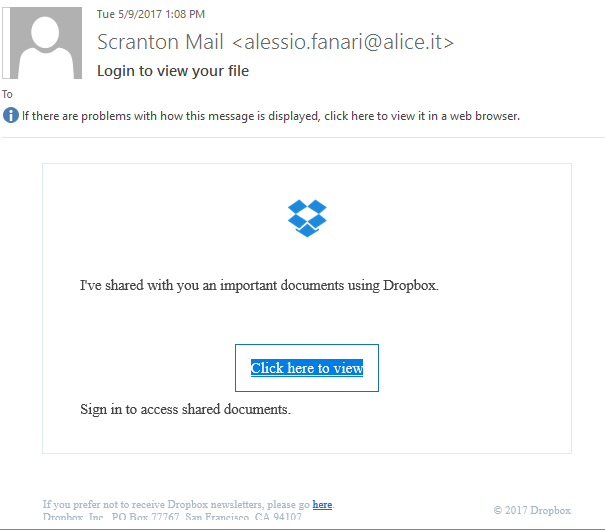 The University of Scranton has been experiencing a number of phishing email messages with links to Dropbox documents. The messages appear to be from “Scranton Mail” with a subject of “Login to view your file”. The messages may appear to be from people you know. If you are not expecting a file, please do not click on the link or open attachments. If you have clicked on anything that requires a password, and believe that the email is not legitimate, it is always a good idea to reset your Scranton password. Please report any future phishing attempt to our Network and Security Services office at infosec@scranton.edu. 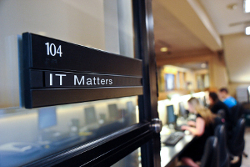 For questions of concerns, contact the Technology Support Center at 570-941-4357 or techsupport@scranton.edu. Posted in IT News, Security. Bookmark the permalink.